Ruffthane is a solid extruded round thermoplastic belting with a rough texture surface. This versatile product is simple to install and maintain in both conveying and power transmission applications. 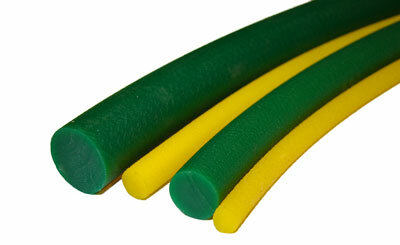 Use Ruffthane to replace flat belts, rubber v-belts and rubber or leather round belts. 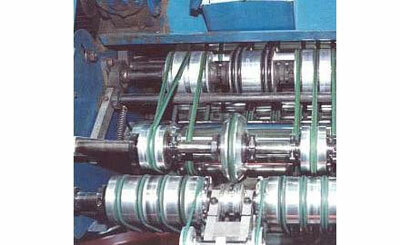 It is ideal for complex systems involving multi-directional conveying. When conveying rigid materials like glass, tile, polished metal, etc., Ruffthane offers the advantage of minimal surface contact due to its textured surface. When conveying pliable items such as bags of products Ruffthane's textured surface gives more grip.